As part of invasive species I wanted to uncover the coastline risk of invasive species and the work I do as part of my role to tackle this issue. I was very fortunate to grow up a 10 minute walk away from the beautiful Dorset coastline and in my youth spent many happy hours poking around in rockpools. These surroundings had a major influence on my career choices which is how I have ended up in the EA National Estuarine and Coastal Monitoring and Assessment Service for almost twelve years. I am still passionate about the work and I am pleased to say that the hours spent by the seaside during my childhood have developed to working on a variety of coastal vessels surveying the inshore marine environment. The role involves water and seabed sampling, and, my personal favourites, scientific trawling and underwater camera surveys. Non-natives in the marine environment are much less visible than those affecting the terrestrial environment and some might say ‘out of sight, out of mind’, however they are no less impactful and once established are impossible to eradicate. Some of the most serious impacts include out-competing native species for the same food source, predation, smothering the seabed or other surfaces and physically altering the habitat through their activities or presence. There are a vast number of ways, referred to as ‘vectors’ or ‘pathways,’ by which marine invasive non-native species arrive in our coastal waters. Commercial shipping has been identified as a one major pathway which is why the number of species arriving is higher in big industrialised estuaries such as the Thames and Southampton Water. International shipping traffic continues to increase meaning the introduction of non-native species to marine and estuarine waters continue to pose a significant threat to living marine resources in England. Once a non-native species has been introduced in the marine environment there is often a high potential for it to spread along the coast by attaching to smaller craft (control is usually only effective on a local scale). Therefore the best way to reduce the impact of marine non-native species is to prevent them becoming established in the first place. The fleet of EA marine survey vessels cover the length of the English and Welsh coastline. 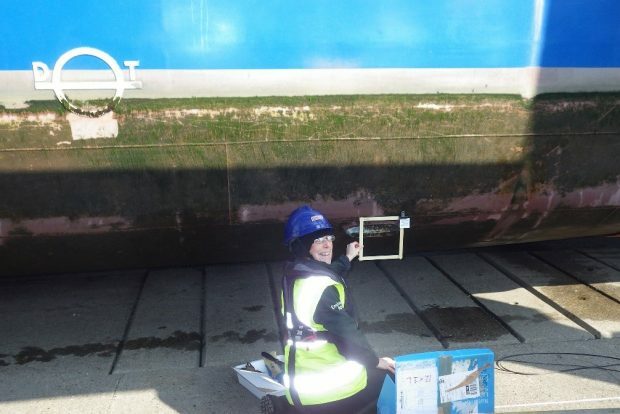 To ensure there are no undesirable hitchhikers attached to any of the surfaces in contact with the water, we carry out an inspection each time a vessel is lifted out of the water for maintenance. Samples are scraped from the surface of the hull and sent off to a specialist laboratory for identification. My colleagues and I are out there every day keeping an eye out for non-native species during our routine monitoring activities. We have undertaken species identification training to help us spot them in the field. 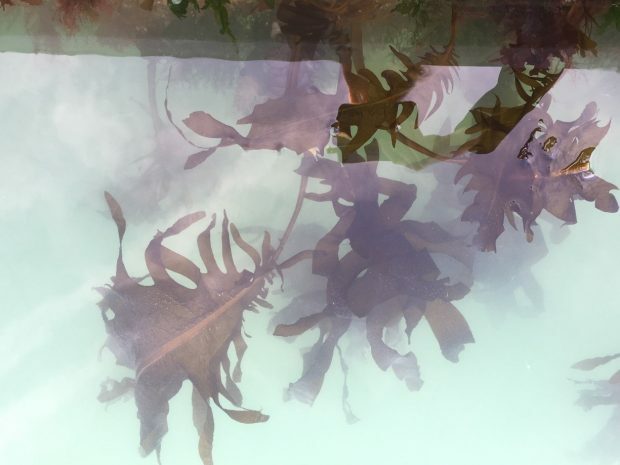 We work closely with specialists in other organisations to ensure any specimens found are identified correctly and any alert species such as the invasive Carpet Sea Squirt (Didemnum vexillum) are reported quickly. 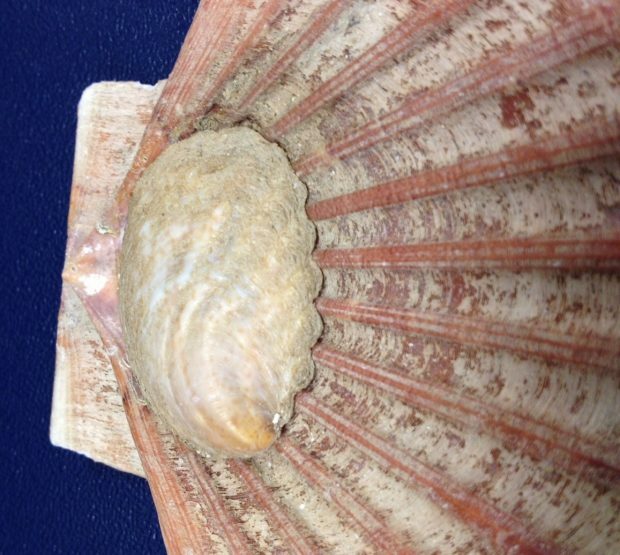 Below are a selection of images of marine invasive non-native species we have encountered. 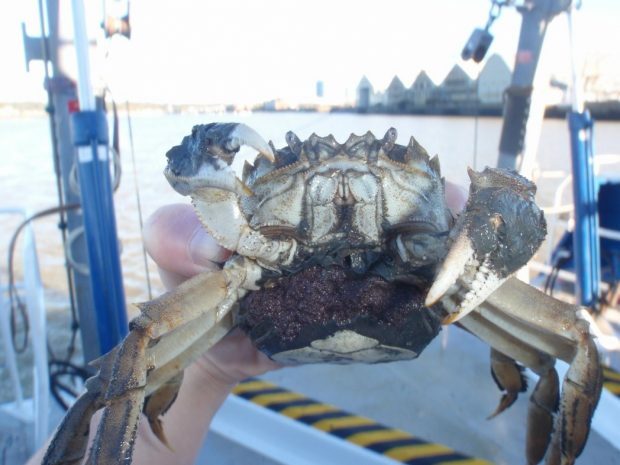 Female Chinese Mitten (Eriocheir sinensis) crab with eggs caught in the Medway during a statutory monitoring survey (Autumn 2013). 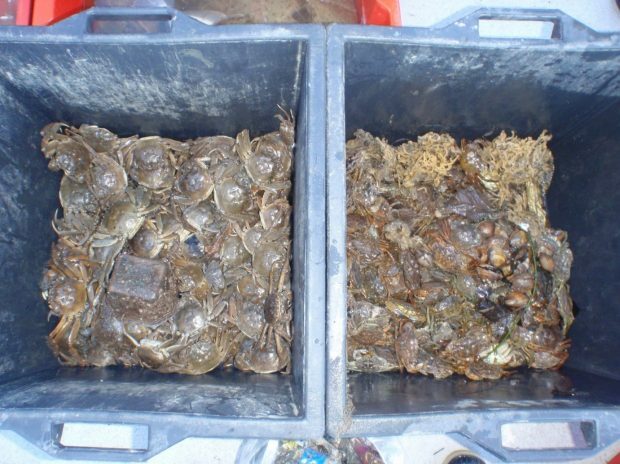 Invasive non-natives (left) and native bycatch (right) caught during 30 minutes of trawling in the River Medway. Wakame (Undaria pinnatifida) , an invasive Japanese seaweed recorded in Ramsgate Marina (Jan 2018). Invasive Asian Shore Crab (Hemigrapsus sp.) 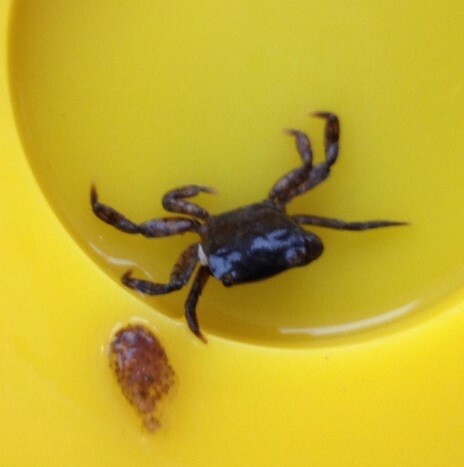 discovered hiding in amongst the sensors of a water quality monitoring probe deployed in the River Orwell. Invasive non-native Slipper Limpets (Crepidula sp.) 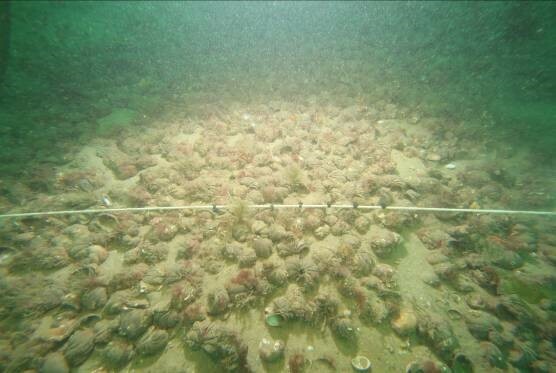 observed during an underwater video survey on the south coast of England.